It was getting close to the noon by the time the guys were done with my bike so I hit the road and managed to get to Bahia Bianca whre I found a place to stay. 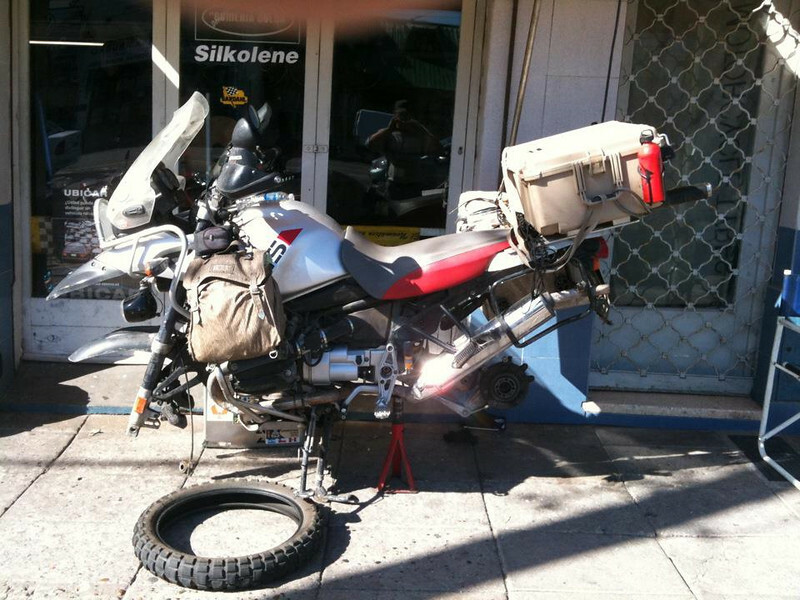 I got up very early in the morning as I was planing to ride all the way to Puerto Madryn that day but bad news again, my computer just died. So I told the lady at front desk that I might be staying one more night and left to the city to look for repair shop. Well I found few but my mac was to old and even if they could fix it, it would take way to long for the parts to get here. 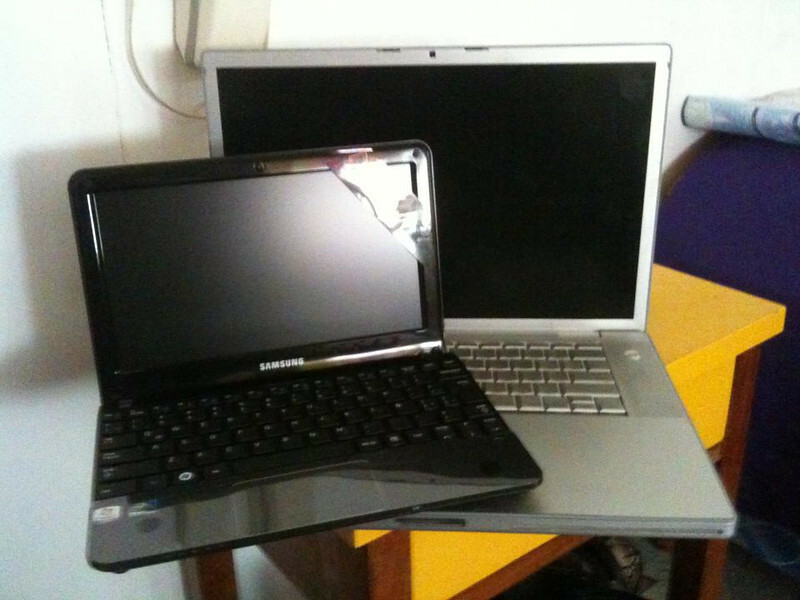 So I had to look for new pc and after few hours of searching around I got the small Samsung pc for 600 bucks. OK I was going to work on my update but the internet was out for 2 days and now its getting very late and I have to leave early in the morning so I will work on it soon, I'm in Ushuaia right now and for now I will leave you with this teaser photo, sorry. 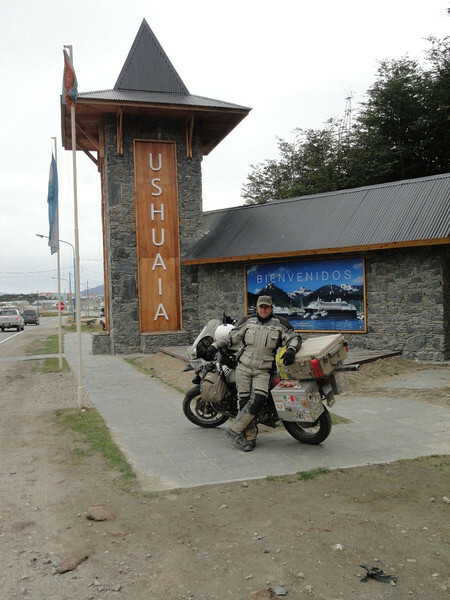 Jarek You made it to Ushuaia, congratulation,the road ends there,let us know what is next in your adventure plans?